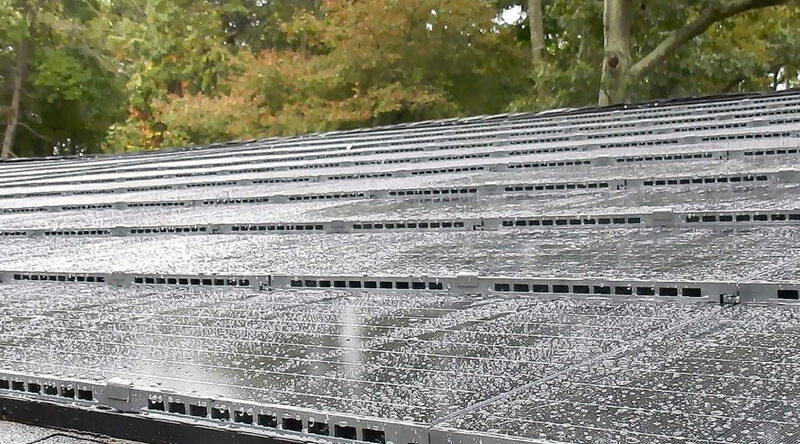 Last week Elon Musk announced SolarCity is working on a solar roof that was “not a thing on the roof” but “the roof.” The promising idea could offer an alternative for those who don’t like the look of traditional rooftop solar panels, but it looks like Musk won’t be the first to create a solar roof. New York-based company SunTegra Solar Roof Systems (formerly Integrated Solar Technology) has already installed integrated solar systems in the northeastern United States and California. According to SunTegra, “three out of four homeowners would prefer an integrated solar option.” So the company, led by industry veteran Oliver Koehler, designed solar shingles and tiles that integrate with roofs. Their tile can produce 67 watts, and their shingle can produce 100 watts. Additionally, the SunTegra shingles utilize “50 percent fewer parts” than traditional rooftop solar panels, and can be rapidly installed in “half the time.” Their systems are lighter than racked panels too. Ventilation built into SunTegra’s units help them stay cool. This sort of "Solar roof" doesn't seem to get the essential point. If it's still an irregular patch slapped in the middle of a roof it doesn't look much better than panels. I have hope that Elon Musk gets it because he certainly has good design sense with Tesla vehicles. A Solar roof should be a complete roof edge to edge not a patch in the middle of some other kind of roof. It shouldn't look like you repaired storm damage with different roofing. I suspect there are technical reasons that current efforts tend to look like patches and it won't be easy. I think it may take somebody like Musk to refuse to compromise on the esthetics even if it's difficult. I don't think it matters if it ends up being a much more expensive option. Like the Tesla Model S there's a large market out their for doing the product right even at a high price. It's easier to work your way down market. It's not a bad reputation to be a product associated with upscale houses. This shouldn't be a product compared in price or appearance to an asphalt shingle roof. It should compare with metal or tile roofing. 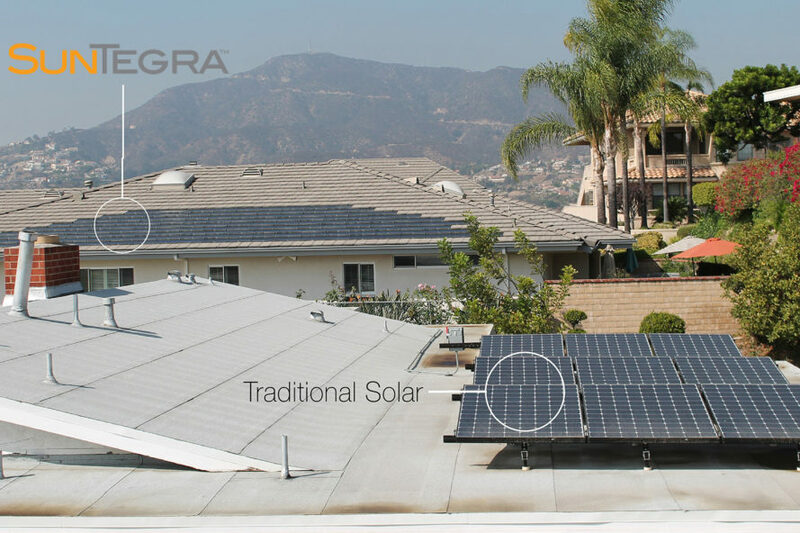 SunTegra Solar Roof Systems offers solar shingles and tiles that integrate with home roofs. The innovative company offers a solution for those who don't like the look of traditional rooftop solar panels. Ventilation built into the units keep the shingles or tiles cool. Pricing is competitive if the homeowner is considering a new roof.